Web Direct's 6 cell Apple® iBook® G4 12 Inch laptop replacement battery is rated at 10.8V, 4600mAh, 50 Whr. 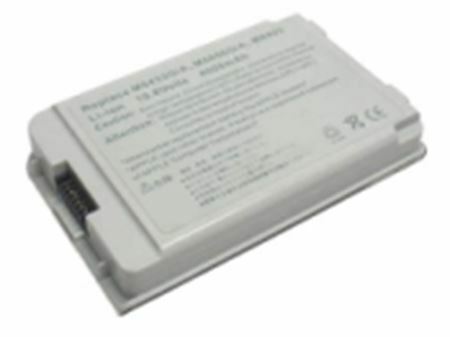 This replacement battery for Apple® iBook® G4 12 Inch is 100% compatible and will meet or exceeds original specification. This iBook® G4 12 Inch replacement battery has been tested for safety and designed for high performance. This battery is a high-performance Lithium-ion battery for Apple® iBook® G3 and G4 and is designed to meet the manufacturer's original specifications and replaces 661-2472, A1061, M8403, M8433, M8861LL/A, M8956G/A, and M9337G/A. LMA-15 has been rigorously tested for use with Apple® iBook® G3 12-Inch and iBook® G4 12-Inch models to ensure compatibility.